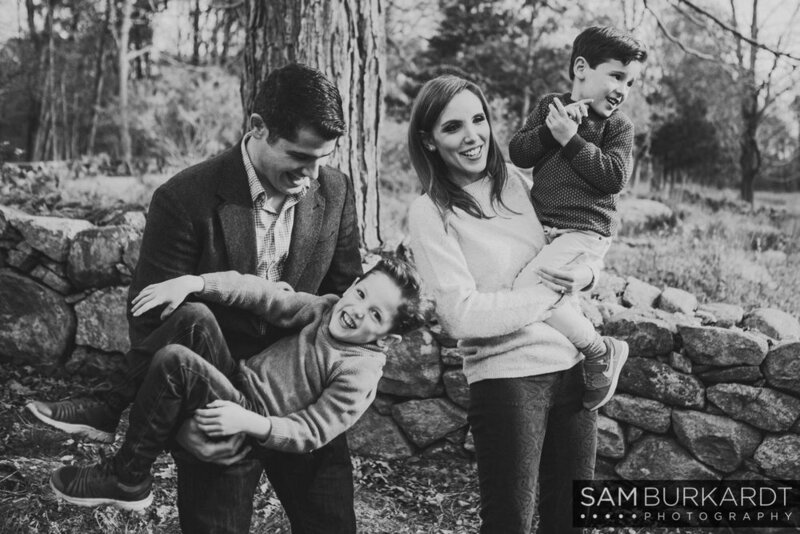 How does a beautiful family become even more beautiful? You put them in an autumn backdrop. It’s one of my favorite sessions every year to photograph how big these girls are getting. They are so curious, playful and spunky. 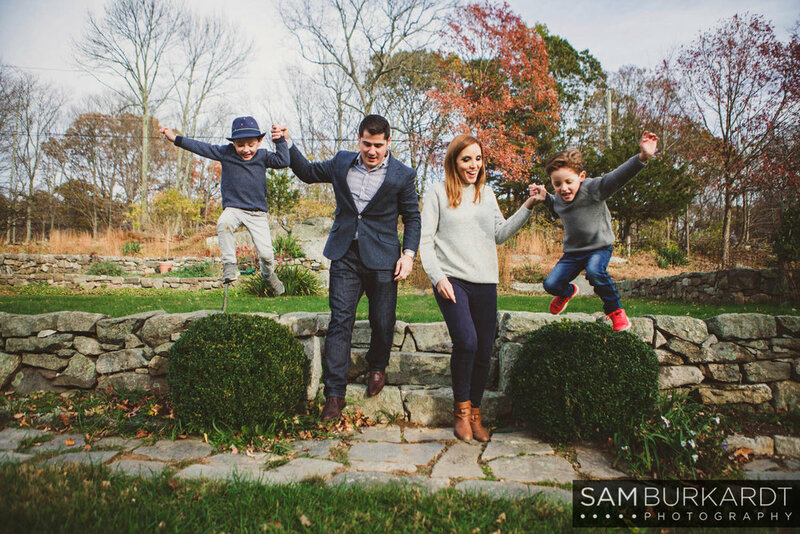 They love being silly in front of the camera and hugging mom and dad. We explored the grounds of Weir Farm National Historic Site together in Wilton, CT. 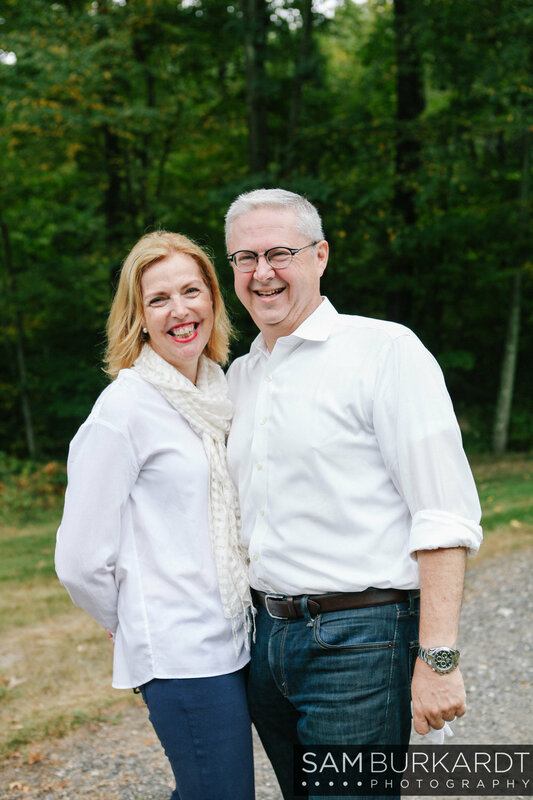 The Genova family, Frank, Sarah, Ellie and Maeve, are always the easiest to work with. 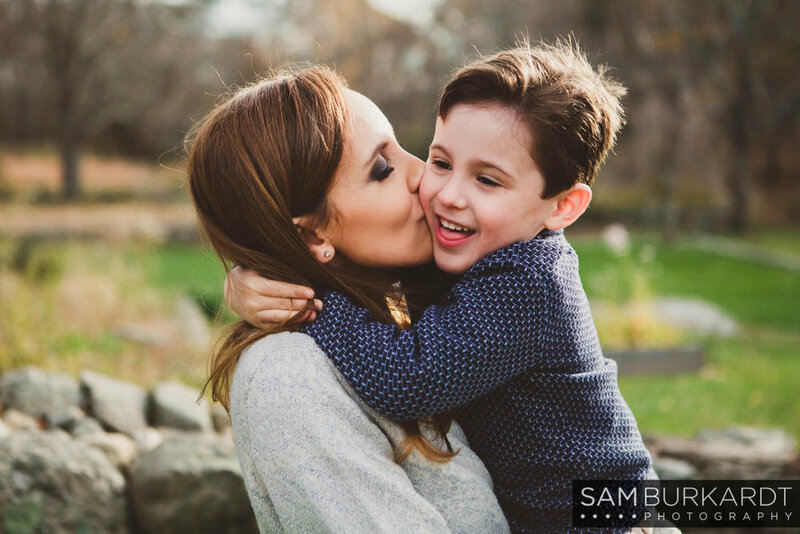 They know that these family sessions are all about having fun and creating real memories. I can’t wait for the next photoshoot with them. I love you all! 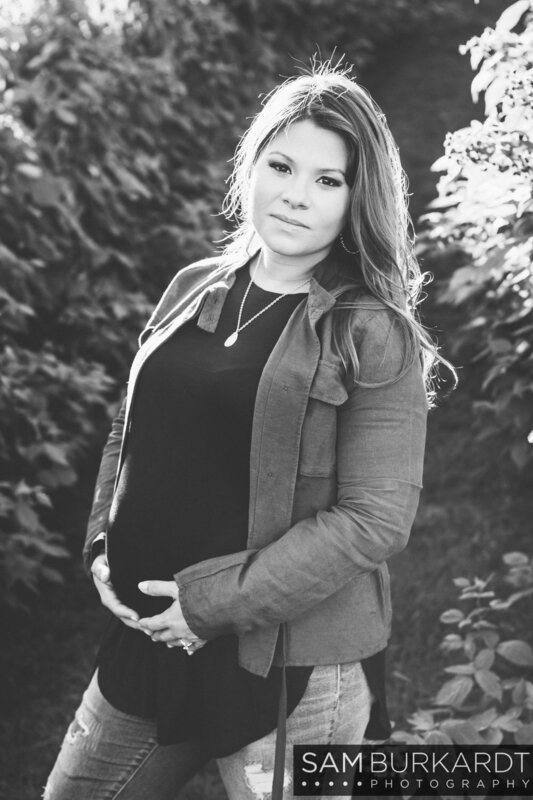 Click here for The Genova’s First Family Photoshoot! 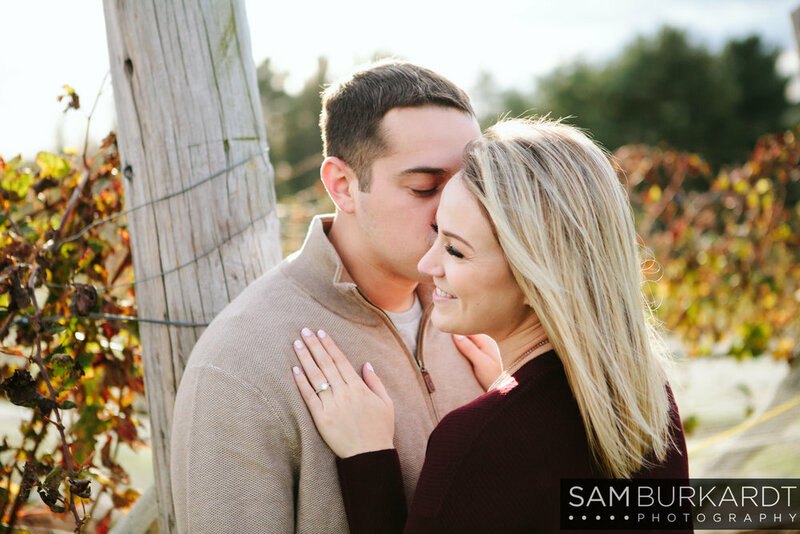 When you combine a fall day with great weather, wine, and a couple in love, you get an awesome engagement shoot at Gouviea Vineyards in Wallingford, CT. Rachel and Nick were so sweet to work with. 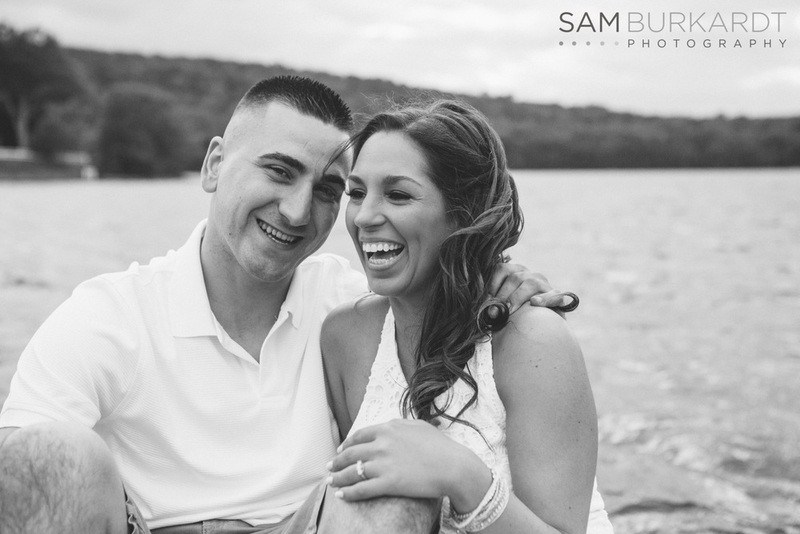 I went to high school with Nick which made the shoot all the better to see him so happy with his bride-to-be, just enjoying the day, giggling and thinking about their future wedding plans. We had such a good time drinking wine, walking through the vineyard, and taking in the beautiful views. Autumns in Connecticut can’t be matched! Congrats to the happy couple! 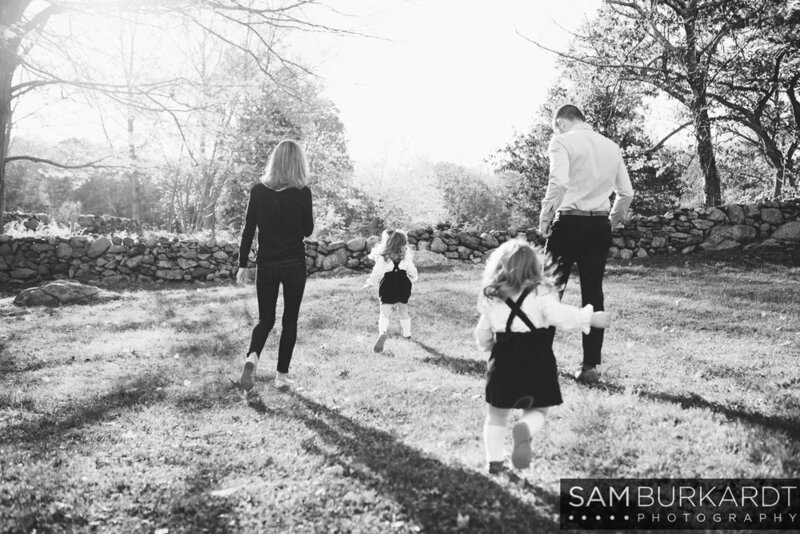 Photographing the Wright Family at Weir Farm in Wilton, CT for an autumn family photography session was one of the best Saturday afternoons all season! 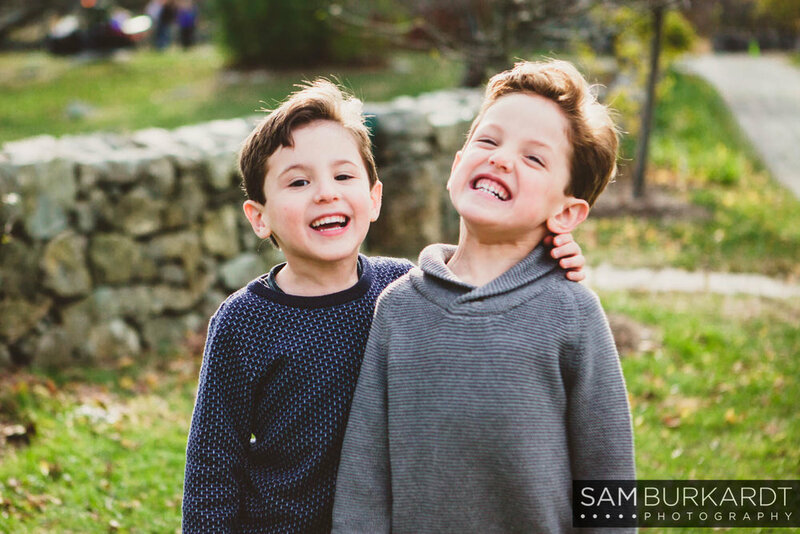 The twins, Ethan and Jasper, were an absolute joy. They were super playful and wanted to be monkeys and climb all over their parents. 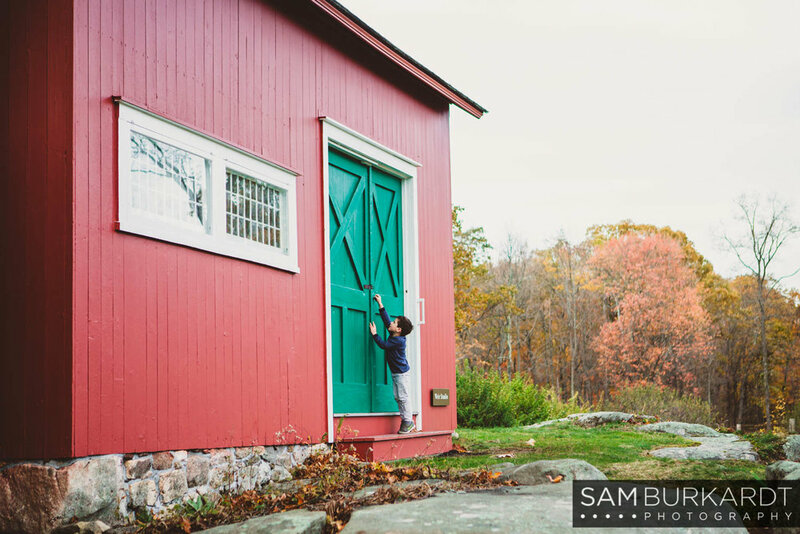 With all the old barns and homes at Weir Farm they were constantly on the lookout for animals. 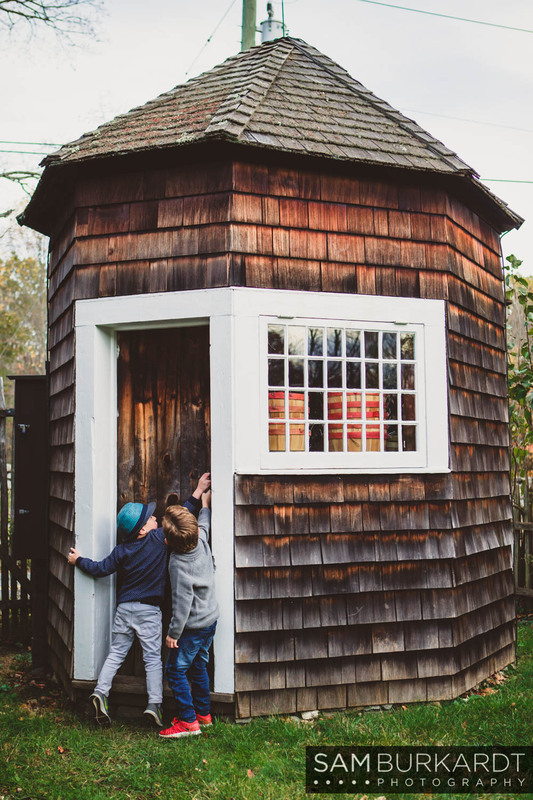 I loved seeing how curious they were and how they wanted to explore each new part of the historic site. It was a gorgeous November day. We were so lucky with the beautiful weather and the fall foliage. 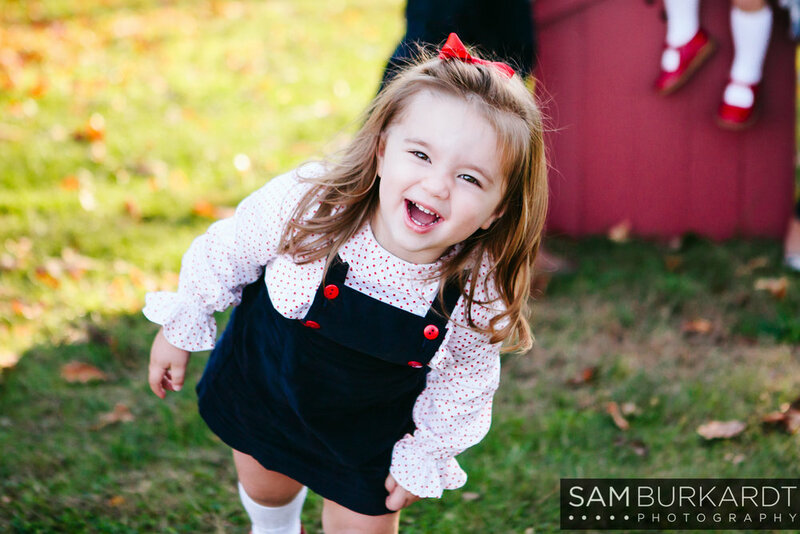 I love fall family photoshoots and can't wait for more next year! 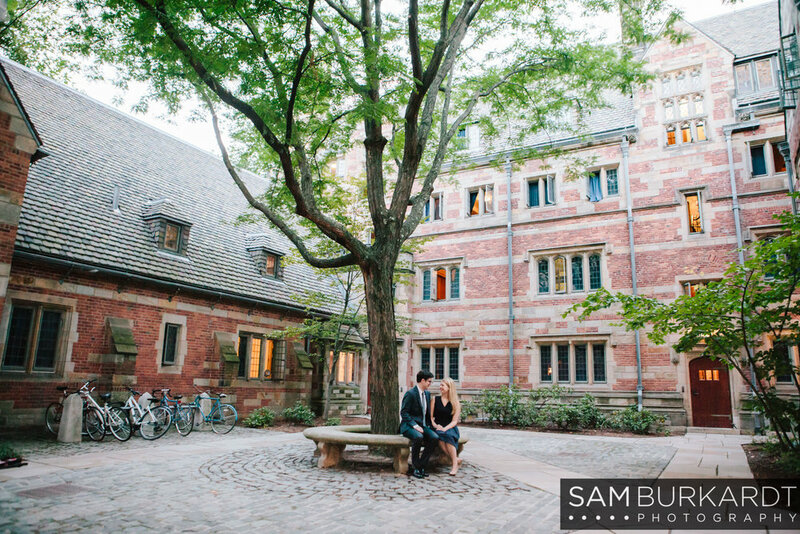 Wandering around the Yale University campus in New Haven, CT is always a great for scouting locations. 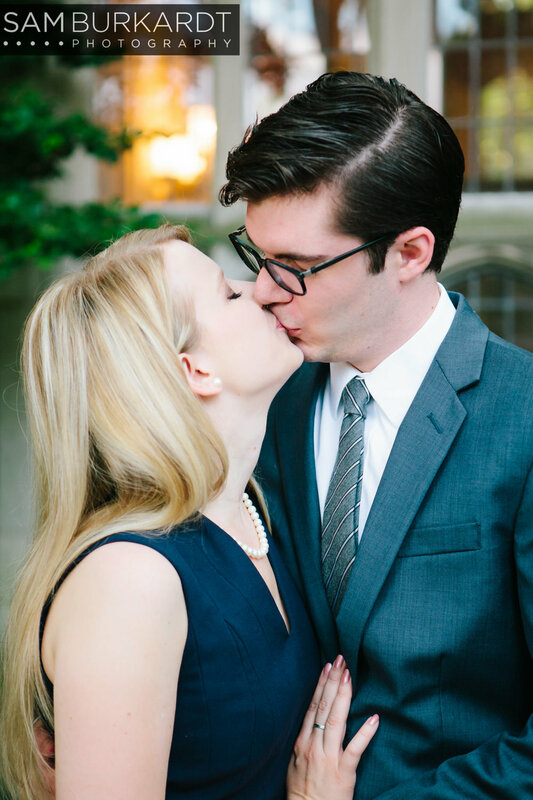 Doing an engagement shoot for Yale grads who know the campus and all its secrets is ten times the fun. 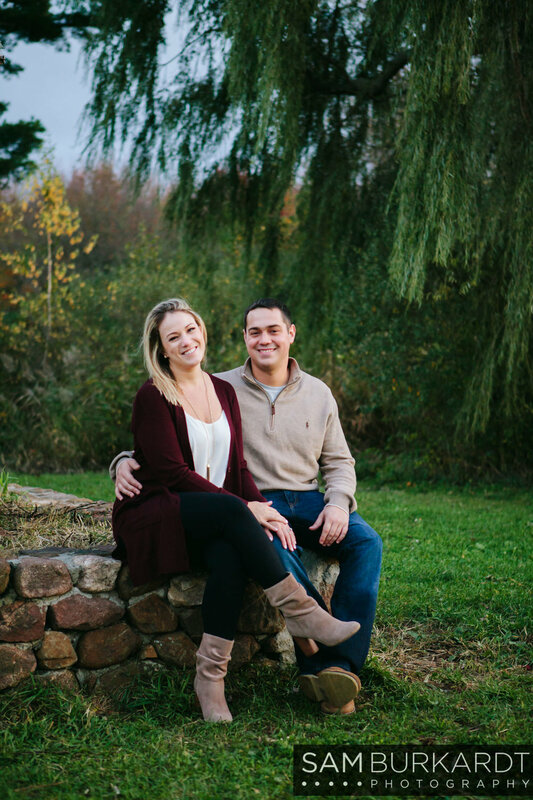 Shelby and Colin's love story is quite a special one. 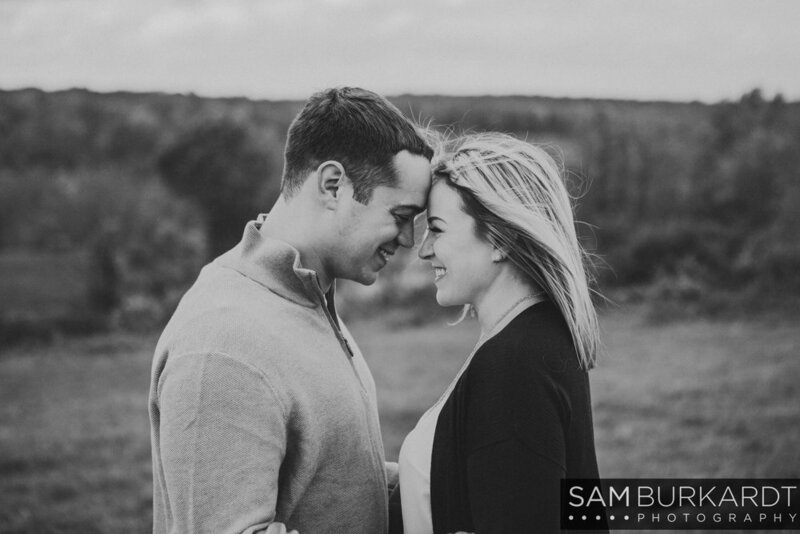 With Shelby's out going and giggly personality and Colin's sweet, reserved nature it was easy to see how they complement one another. Towards the end of the shoot Colin was giving us his best "JCrew Model Looks" and it had Shelby and I in stitches. I'm thrilled for you both. Thank you for including me during such a big moment in your lives! 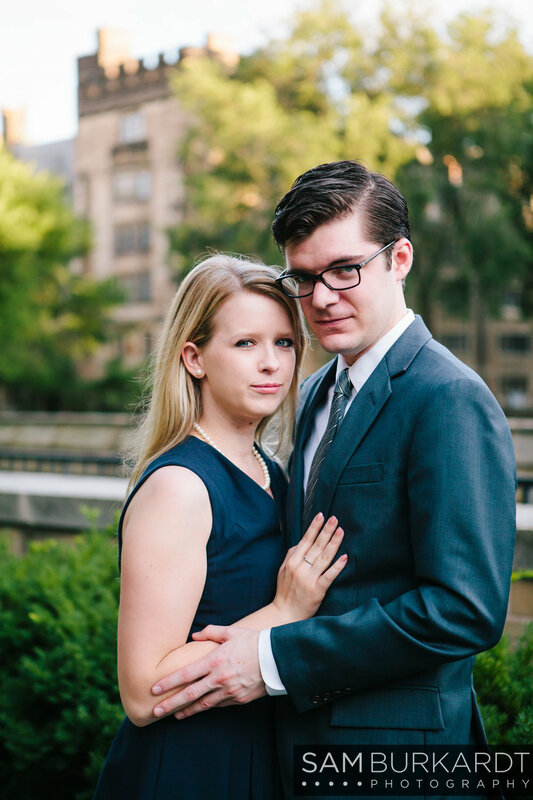 My sister Ren helped me photograph these two through the day. 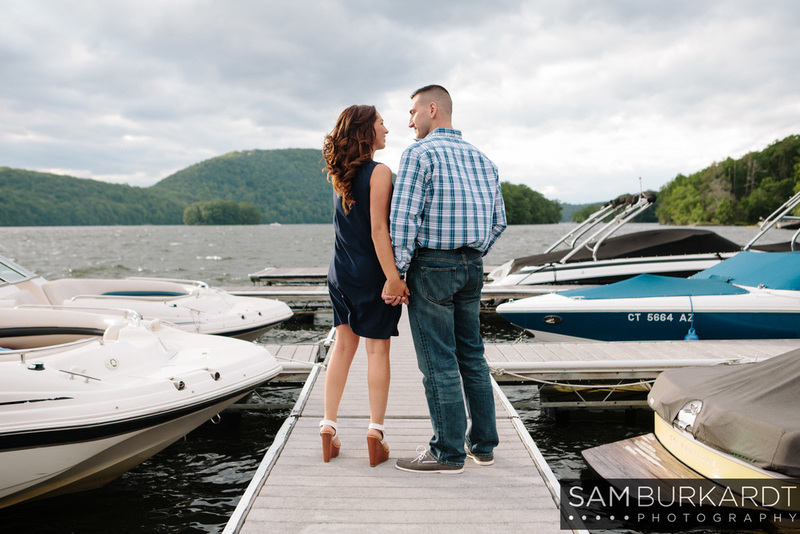 We really loved getting pictures of them on a dock at Candlewood Lake. 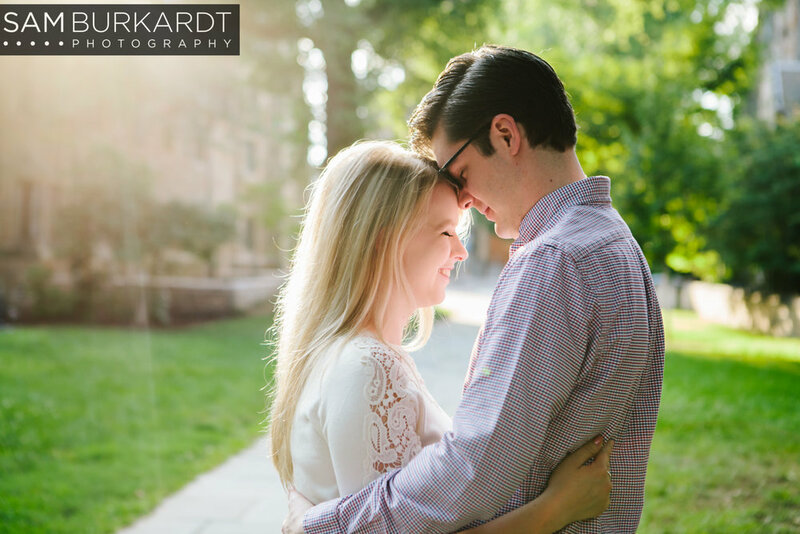 The wind helped make some beautiful dramatic shots with Chelsie's hair as they kissed at sunset. We loved their outfit changes and willingness to be silly with us. 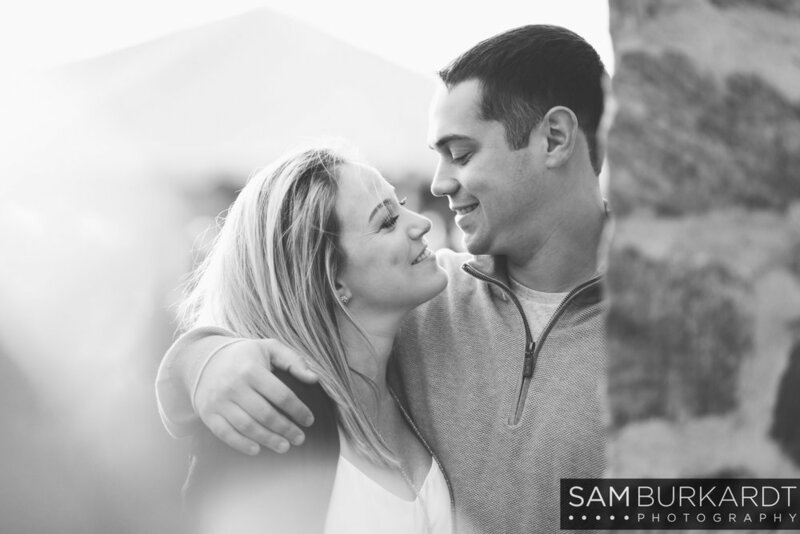 Photographing Barby and David's engagement at Lighthouse Point Park in New Haven, CT was a thrill! David and I were in contact for months making sure that Barby would be surprised when the day came. 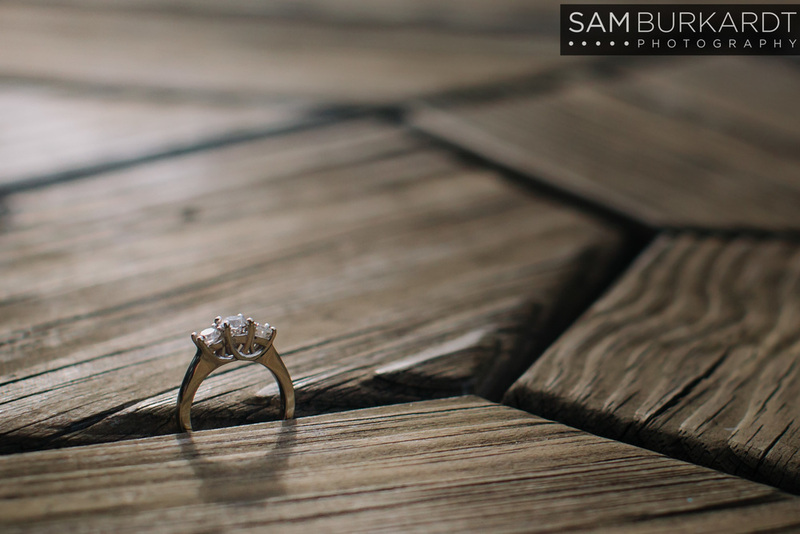 He made sure this was his best kept secret to surprise his to-be bride. She was so excited! 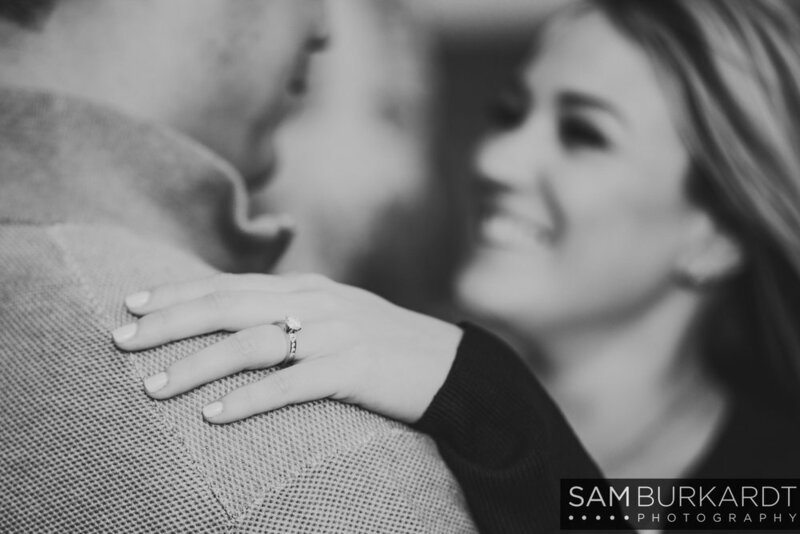 This was the first proposal I have ever photographed and I'm over the moon that I was there to capture this sweet moment in their lives. Let's just talk about how beautiful this family is for a minute. 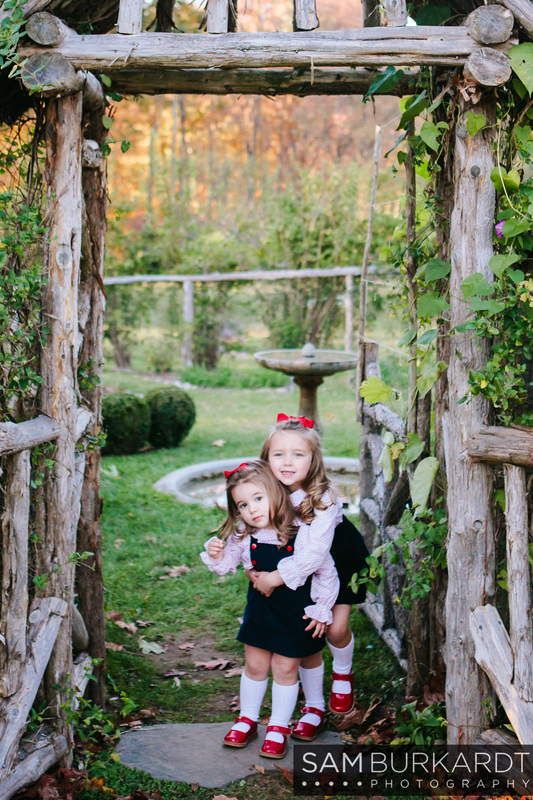 I've been friends with the Genovas for years now and it's such a wonderful thing to see their gorgeous little girls grow up. 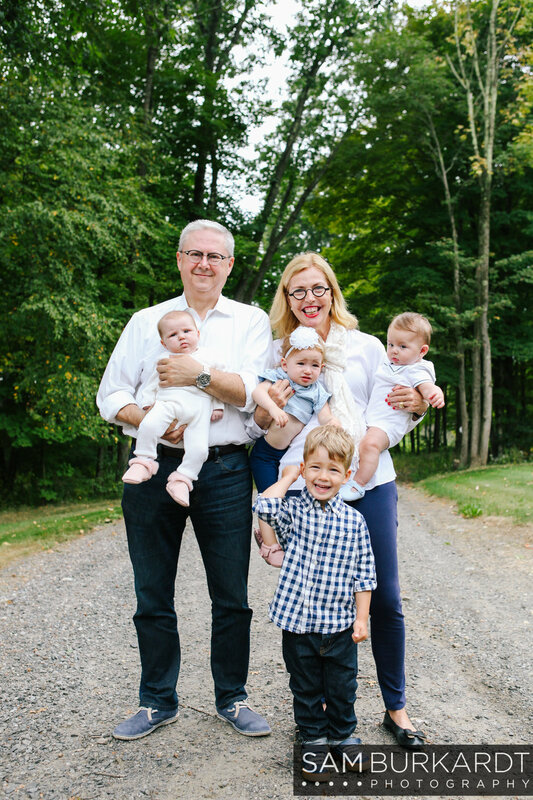 This summer we celebrated Ellie's 3rd birthday and Mave's 1st! 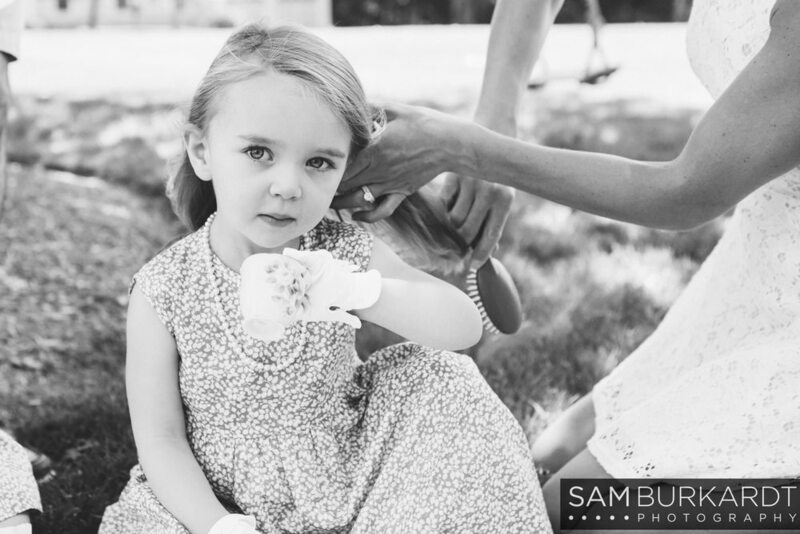 Before we celebrated at their birthday party in Ridgefield, CT, we had this fun family photoshoot complete with a tea party, mini sandwiches, cookies, and matching dresses for the girls. Even their American Girl Doll's outfit matched! 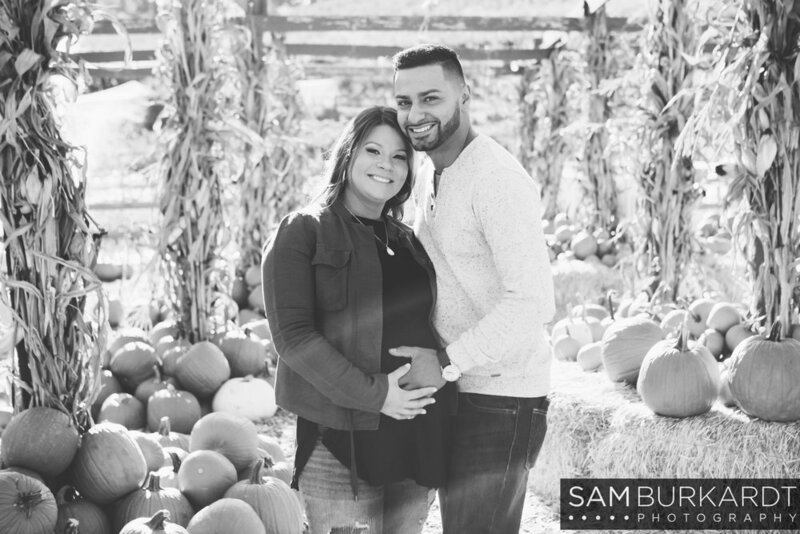 Between the pumpkin patch, the raspberry patch and the apple orchard, this maternity photoshoot at Silverman's Farm in Easton, CT had the perfect location to create beautiful images. 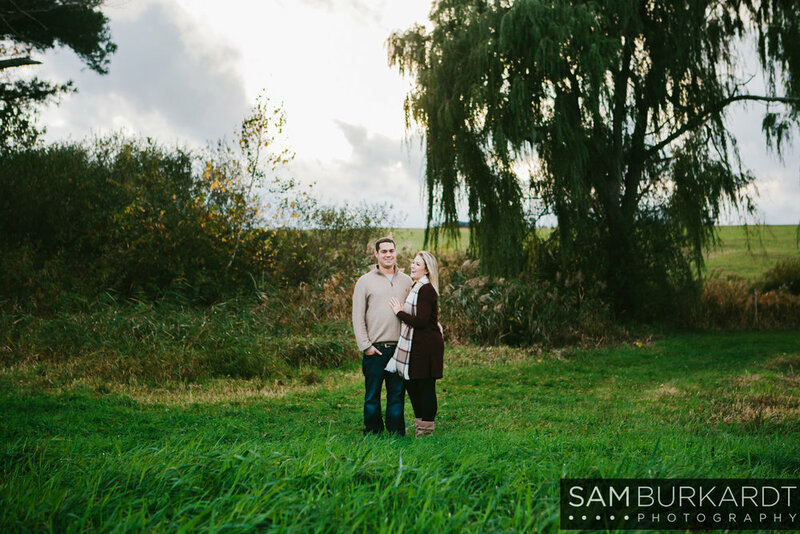 Not only was the location great, but the crisp fall weather was perfect too! 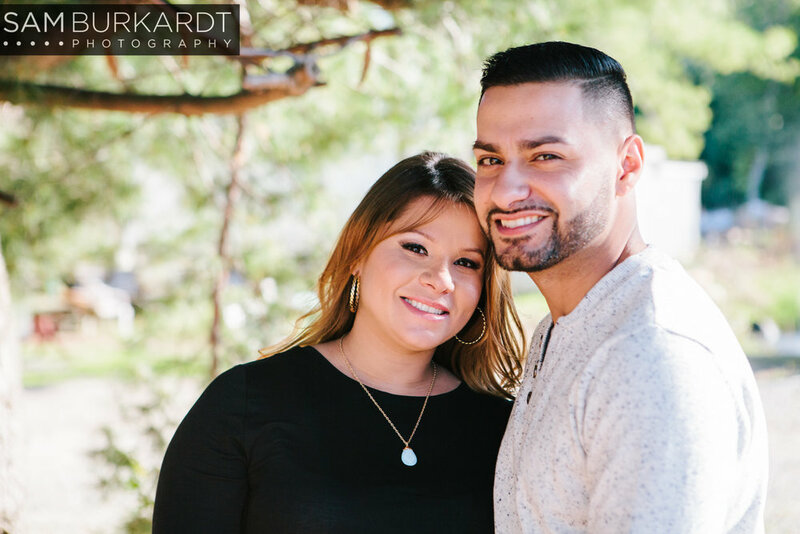 It was an absolute joy photographing Cassie and Ramon. 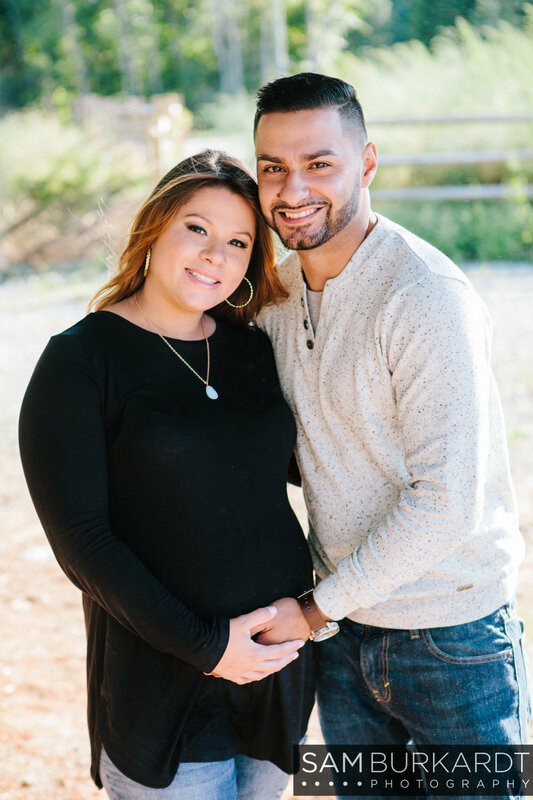 They are so excited to welcome their baby boy, Enzo, to the world this November. 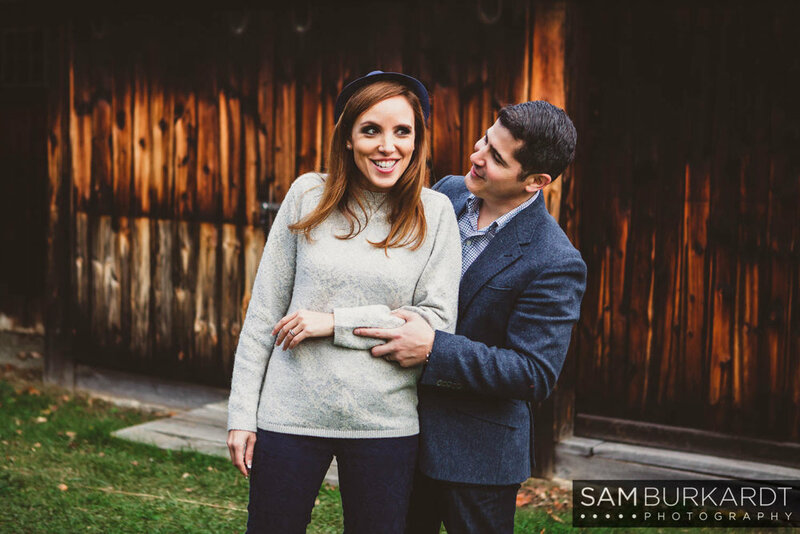 They were recently engaged too so we had fun doing maternity and some cool engagement ring pictures as well. 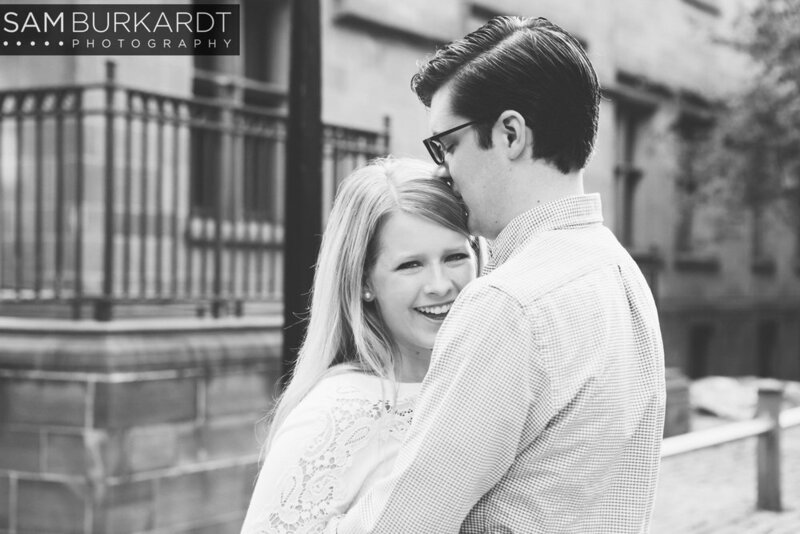 I can't wait to see this new family grow in love! 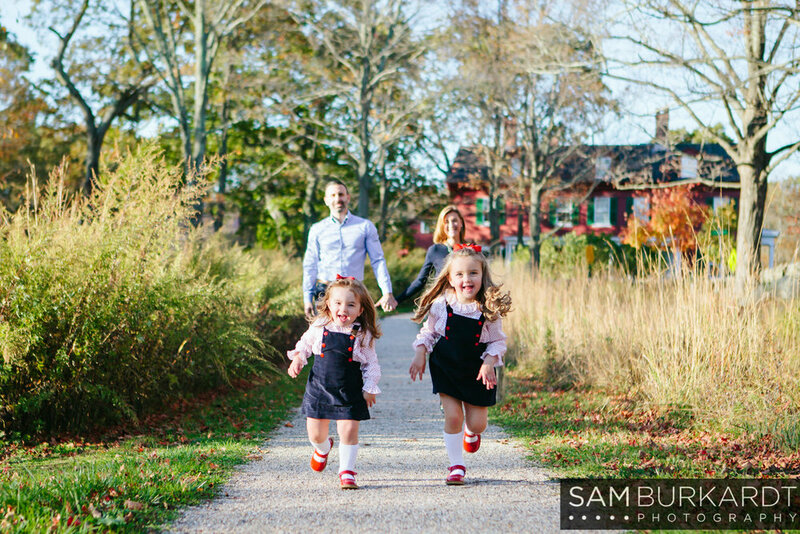 This charming family was incredibly fun to photograph up in Washington Depot, CT. All the kids were adorable and funny and so energetic. Look at all those little smiles! 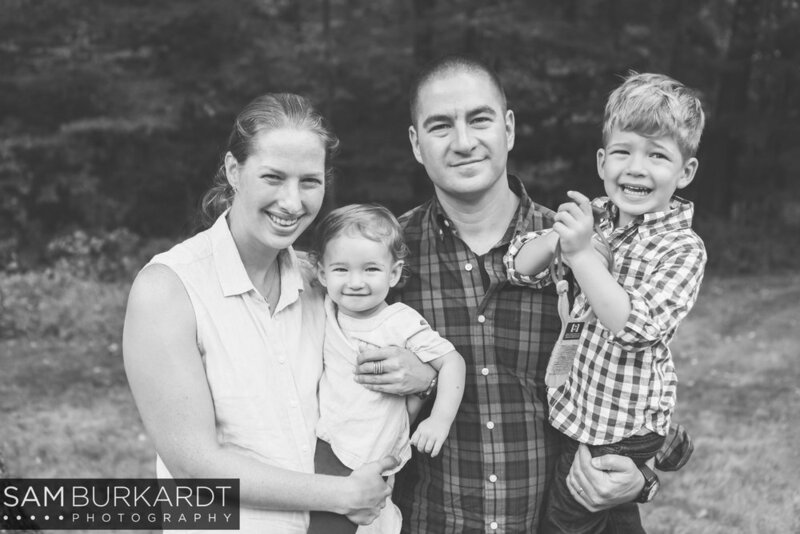 I love getting to take pictures of families who have close ties like these. 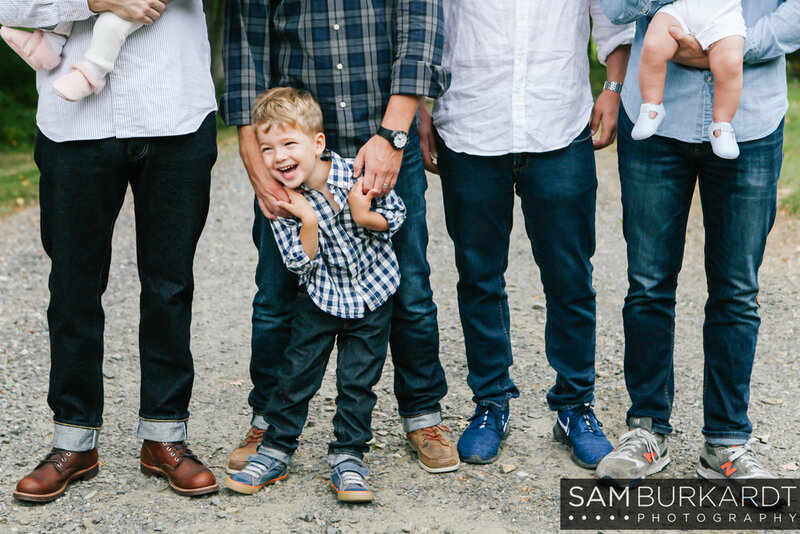 Family reunion photoshoots are always a good time since everyone is so happy to be together again. 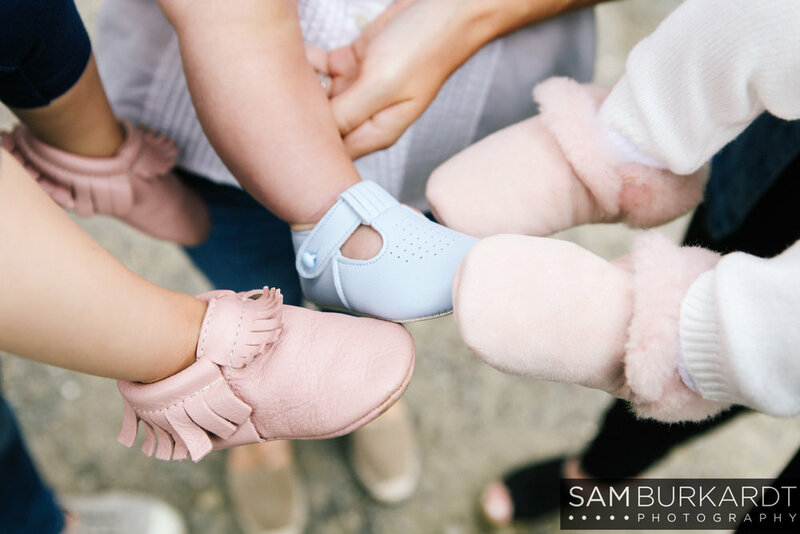 They all came together for their dad's birthday and I am so happy that I was able to be there to capture such a fun morning. 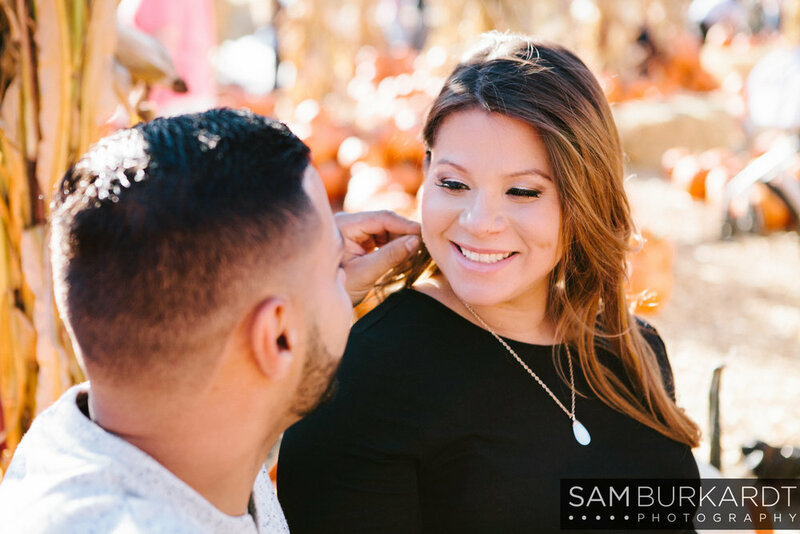 I can't wait for more fall shoots like this one!